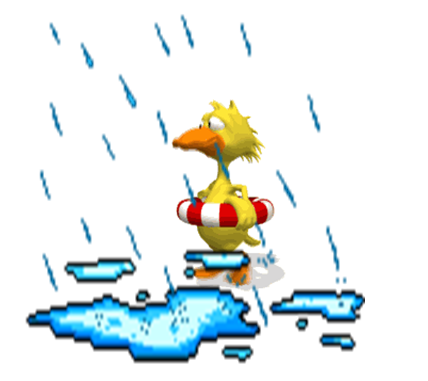 Yesterday and today we have been experiencing what I call “duck weather”. As in “this weather is only good for ducks”. And by that I mean it has been raining nonstop since yesterday. Did you know ducks like the rain? Go find a park that has a pond with ducks when it’s raining and I bet you’ll see them out playing. In true duck fashion, I forced myself went outside for a 5 mile run after work today, just on the roads around my house. It was 39 degrees, windy, and raining. Not exactly my favorite weather to run in. Can we go back to 50 degrees and muggy? I did run past this sign, but didn’t see any ducks out playing. It’s a little cold for them, I guess. Do you ever get just one line of a song stuck in your head while running? I often do and today it was the only line from singing in the rain that I know. So for 5 miles I just kept thinking “I’m singing in the rain, just singing in the rain, what a wonderful feeling”…. repeat x1000. I am proud to say that I conquered a hill twice today that I have dubbed Tabernacle Hill (the name of the road is Tabernacle Rd., I’m really creative). It’s a dead end road, about 3 tenths of a mile long, with a really steep hill. You run down the hill to the dead end and then have to turn around and climb back up to the main road. It’s pretty hilly where I live, but I guess I’m better off for it. Tabernacle Hill happened at mile 2 and mile 3 below. Also, I think I may need to invest in a new rain jacket for running. The one I have is more of a wind breaker and I was soaked to the bone after about a mile. On a positive note, I can probably just skip my shower, dry off and put on my PJs now. We’ll see what Barry thinks about that.